Garver’s Kansas City office recently participated in Engineers Week by hosting a table at the annual Discover Engineers Week Celebration. Attendees at the Garver table included local high school students interested in pursuing engineering degrees. 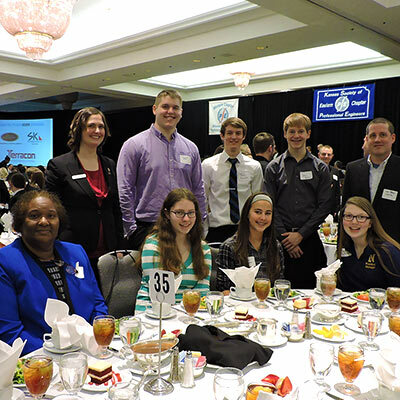 “This event provided a great opportunity for Garver to show its support to the local Missouri and Kansas societies of professional engineers, STEM initiatives in our area, and also the future of engineering on the whole,” said Garver Project Manager Adam Stodola, who also currently serves at the state president of the Kansas Society of Professional Engineers. Attendees of the event heard presentations from a variety of colleges and local industry businesses. 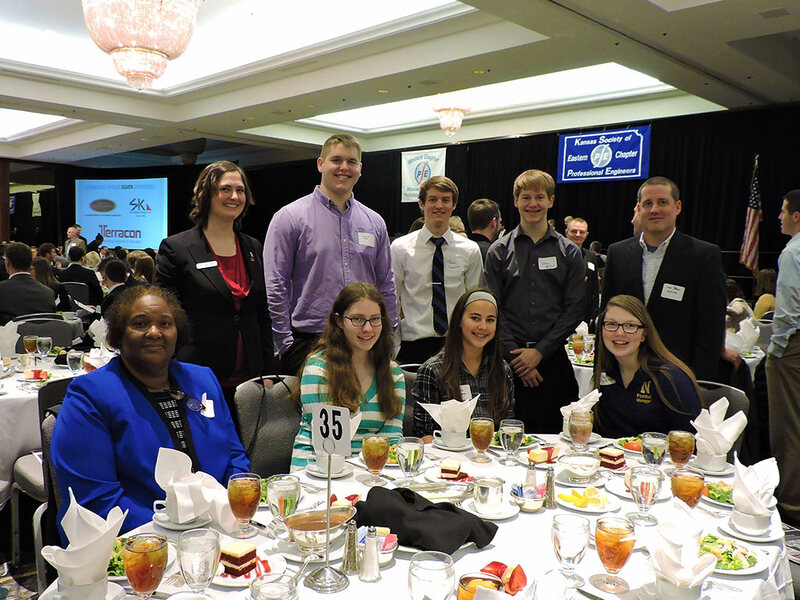 Winners were also announced for student competitions that included MathCounts, Bridge Building, and Future Cities. To learn more about how National Engineers Week benefits students or how you can get involved, visit DiscoverE.org.